MK Katz on the fact that bin Laden hid in Pakistan: America should adopt a new way of thinking and support its friends, especially Israel. National Union Chairman MK Yaakov “Ketzaleh” Katz addressed the relations between the United States and Pakistan on Monday, following the killing of Al-Qaeda leader Osama bin Laden, which revealed that the arch terrorist had been hiding out in Pakistan and not in war-torn Afghanistan as had been believed for quite some time. Katz said that many people of the free world wonder why the U.S. supports, both economically and security-wise, a radical Islamic state such as Pakistan, whose loyalty to terrorists such as bin Laden is greater than its interests in cooperating with the U.S.
Pakistan is the second largest world-recipient of US aid. $1.5 billion were appropriated by Congress in 2009 for economic and developmental purposes, in order to gain support in the strategically situated country for the war in Afghanistan against Al-Qaeda and the Taliban. “Osama bin Laden lived in a luxury neighborhood in Islamabad for five years while the residents of Pakistan helped him out,” said Katz. He added that, in his opinion, “new thinking by the Americans is required, in which they support all their friends in the free world, especially Israel, a wedge stopping the radical Islamic terrorism which brings instability and tragedy to the world. “Of course the United States must stop pressuring Israel and pushing it towards the Auschwitz borders [the term used by the late Foreign Minister Abba Eban to describe the 1949 armistice lines, often erroneously termed '1967 borders' but never recognized as such-.ed] and right into the hands of the enemies which surround it,” added Katz. Katz’s comments came after more details were revealed on the operation in which bin Laden was killed. Reports said that a U.S. helicopter landed on the roof of bin Laden’s mansion in Pakistan shortly after midnight Saturday, and Navy SEALs (Sea, Air and Land) burst out and surrounded the mansion’s walls, before bin Laden was taken out after a 40-minute firefight. He was shot in the head. Fox News quoted a source who said that bin Laden was given the opportunity to surrender, but other sources said the mission was to eliminate bin Laden and not take him alive. In a session of a Knesset lobby dedicated to teaching the lessons of the Holocaust in honor of Holocaust Remembrance Day, Katz said the greatest revenge against the Germans, who desired to annihilate the Jewish people, is the Jewish nation’s fertility and natural growth. 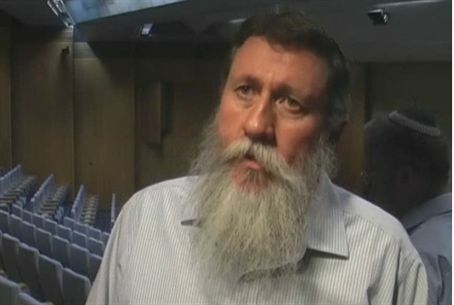 Katz said that Israel should show visiting dignitaries the pinnacles it has reached since the Holocaust and despite it. “We must show them that we have the capability to destroy Iran within a second’s time, and Syria in a minute’s time, should they dare lift a hand against us,” he said.